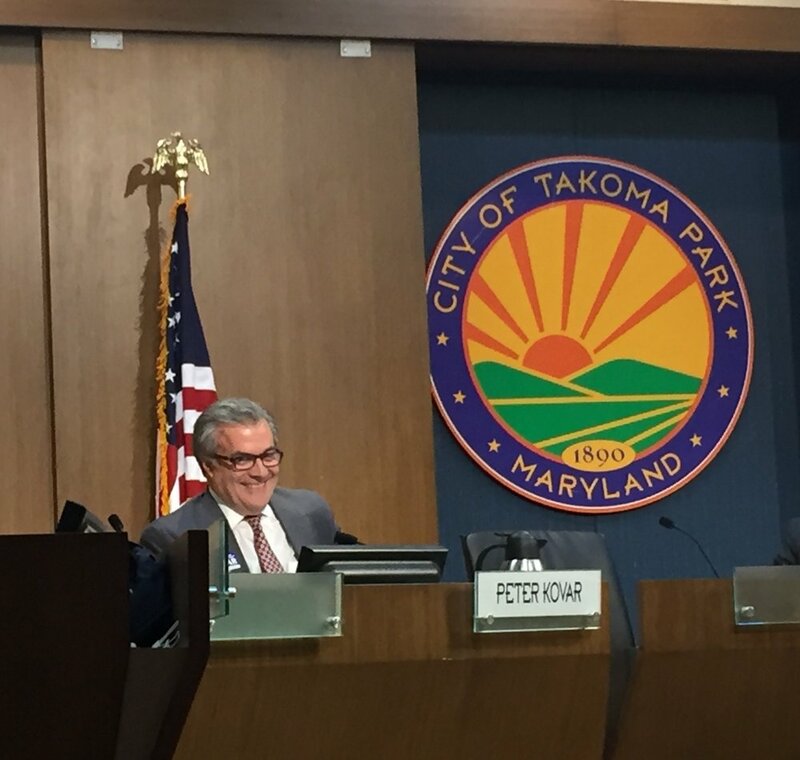 As noted in previous emails, the City Council this week will begin a series of three Council meetings focused on moving forward on the Takoma Junction development. I am sending this message to Ward One residents to offer my thoughts on where we are on the project and to provide information on upcoming steps. I want to keep this this email to a reasonable length, which means I can’t cover every aspect of this issue, so please feel free to be in touch, especially about anything I don’t cover here. At this week’s Council meeting on July 13, there will be a presentation from City staff and a Council discussion on the draft Development Agreement (DA) between the City and NDC, the chosen development company. Then, on July 20 there will be a public hearing as part of that evening’s Council meeting. And, on July 27, the Council is scheduled to vote on directing the City Manager to sign the DA. Public comments are welcome at all three meetings. In addition, on Monday, July 18 there will be an Open House (starting at 7:00 PM at the Fire Station at Carroll and Philadelphia Avenues), where residents can get information and ask questions about the DA and the project. I recommend starting with the Q & A, which is a useful introduction. The DA calls for a 99 year lease between NDC and Takoma Park, with the City retaining ownership of the land. The rent would start at $10,000 a year and escalate periodically, yielding a total of about $20 million for the City over the life of the lease. NDC would be responsible for paying taxes. The Takoma Park-Silver Spring Co-op would be the anchor tenant, with a 4 – 5 month process for the Co-op and NDC to agree to a Letter of Intent (LOI) outlining their business relationship going forward (including loading dock/delivery arrangements and continuity of operations during construction). NDC would have an ability to seek a different anchor tenant if the two parties are unable to reach an agreement. For the other tenants at the site, there is a preference for local and regional businesses, with protections to avoid undue competition with the Co-op (including if another anchor tenant is chosen). NDC would use its best efforts to achieve at least LEED gold building standards, other green features, parking for businesses not located at the site, and a public meeting place, with the possible inclusion of residential units. There would be extensive opportunities for public review and participation throughout the development process. The development is expected to take about 4 years, with the construction phase lasting 18 months. I believe the DA offers a decent path for keeping the momentum moving forward on the project. A key outstanding concern – which is not technically part of the DA -- is the LOI between the Co-op and NDC. When the Council approved NDC as the developer last April, it was with the understanding that the Co-op would be the anchor tenant, and be able to continue a reasonable level of operations during construction. Those goals were endorsed by many in the community, and again they are included in the DA. While I wasn’t on the Council when NDC was chosen, I also support those goals. The DA doesn’t envision the City having a direct role in the negotiations between NDC and the Co-op, because the LOI is a separate agreement between two commercial entities. I agree the City should not be a direct party to the LOI negotiations. However, because the LOI is an important component of the overall project, I support taking steps to help move the negotiations along if they stall, as I mentioned several months ago. It’s been my sense that the negotiations were advancing (at least in terms of the two sides better understanding each other’s position). But with no LOI agreement yet in place, and the DA nearly ready to be signed, the time is right for the City to do what it can – understanding that we’re still talking about two private entities – to help foster the conditions in which an agreement is more likely. In last week’s Council meeting we discussed whether third party mediation would be helpful. I argued for encouraging the parties to participate in mediation, but my Council colleagues decided to direct the City Manager to simply inquire about the two companies’ willingness to enter into mediation. I’m hopeful they will, but either way I think the 4 – 5 month period in the DA for the LOI to be completed is reasonable. There are multiple points at which the City can pull out of the agreement, generally without any penalties. For example, we can object to the project schedule; we can refuse to agree to NDC’s request to seek another tenant; and we can reject the site plan. All of those could lead to us terminating our involvement in the Agreement, and they give us leverage to help ensure that both parties negotiate in good faith. I have heard from people who believe the DA is too generous to the Co-op and from those who believe it is too generous to NDC. As I have said previously, I don’t subscribe to the notion that if folks on either side of an issue like this one are unhappy that somehow means we “got it right.” Rather, my view is that this is a complex situation, and realistically, it’s unlikely most people will get everything they want in the DA. In that context, I think the DA gives us a reasonable chance to move forward on a project we can be proud of. Of course, nothing is final until it’s signed, and again we will be voting on whether to direct the City Manager to sign the DA on July 27. So, it’s vital over the next couple of weeks for residents to weigh in with their views on all of these issues. Please let me know where you stand.